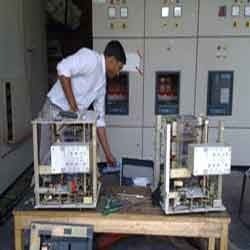 We offer vacuum circuit breakers services to our clients. Vacuum circuit breakers servicing can be used both as circuit-breakers for general protection (of plants, of user complexes, of electric lines) & as protection circuit breakers of electrical machines (generators, motors, transformers, capacitors). Get variety of New / Used / Refurbished Breaker Servicing from our Online Inventory Network. Find all makes & ratings of Breaker Servicing. Inventory Liquidation discount available for non moving products, Subject to availability. 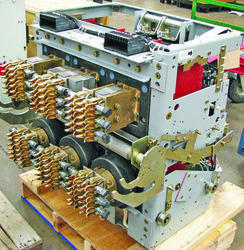 We are offering Vacuum Circuit Breaker Services. Our experts finish these services by employing the advanced techniques. We render this service in numerous forms as per the requirements and demands of the customers. With the help of skillful experts, we render this service as per the necessities of our patrons in an effective way. Complete Overhauling, Servicing and Testing of VCB from 6.6 kV to 33 kV Makes like SIEMENS, ABB, AREVA, CGL, Jyoti, Kirloskar, Eaton, etc. With the help of our expert team members, we have been able to provide Vacuum Circuit Breaker Service.